Roofing is a serious investment, and you wouldn’t want to count on anyone but the best. 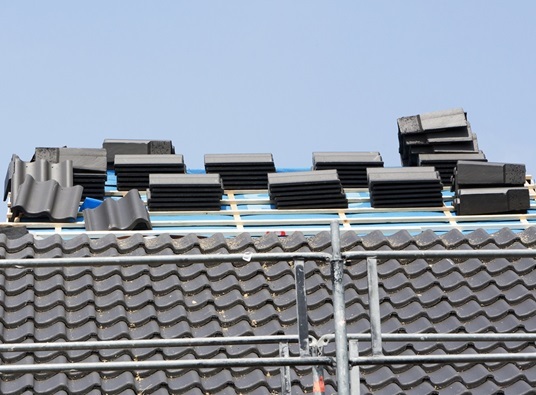 With so many roofing companies out there, it can be a difficult decision to make. Peak Roofing Contractors lists the things to look out for that will make your decision so much easier. There’s a big benefit to relying on roofing companies in Northern Virginia that have been in the industry for a long time. Peak Roofing Contractors has been providing quality roofing services in the area for several years now. That means we understand the weather and climate that your roof will experience. This helps us in picking the material that will serve you the best and for the longest time. When it comes to roofing, certifications count. Given by the most trusted names in roofing to only contractors who meet their strict standards, these serve as assurances of the caliber of our work. These are also guarantees that you will get only the best products for your roofing. CertainTeed and GAF certify us; both have highly durable and aesthetically pleasing options in their product catalog. 3. Make sure their insured. Always check the Manassas roofing company’s insurance. Insurance keeps you protected financially. More than that, it’s necessary for companies to be careful about the people they hire when they get coverage. In a way, insurance is also a guarantee that you’re hiring people that take their work seriously. Be sure to ask for proof of current bonding and insurance either. Trust is the most important thing when it comes to roofing companies. Fortunately, the top manufacturers and the local community trust Peak Roofing Contractors. Call us at (703) 745-5153 and we’ll be more than happy to talk to you about our many roofing options today.